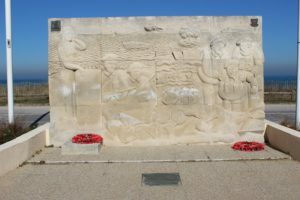 There are a number of memorials on Sword Beach stretching from Ouistreham in the East to Saint-Aubin-sur-Mer in the West. The 1st Special Service Brigade was a commando brigade of the British Army. 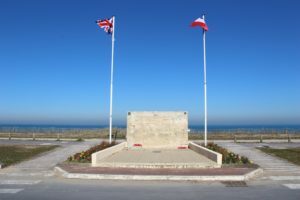 It was formed during the Second World War and consisted of elements of the British Army (including British Commandos) and the Royal Marines. On 6 December 1944, the Brigade was redesignated 1st Commando Brigade. 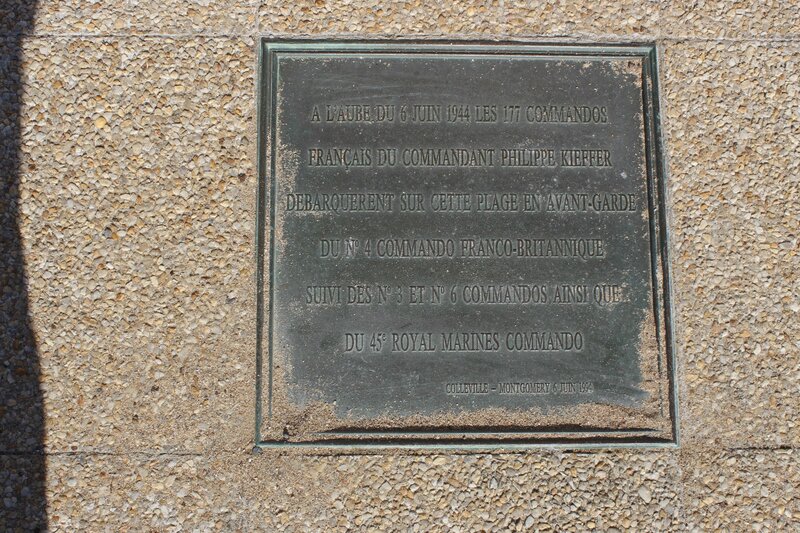 The commando units landed here on D-Day, 6th June 1944. 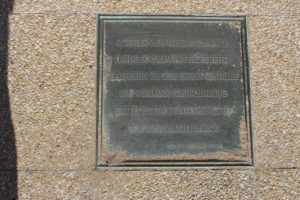 You can find the memorial at 15 Boulevard Maritime in Colleville-Montgomery. It’s at the intersection of rue Vauban and looks out onto Sword Beach. For more information about Sword Beach visit this page.